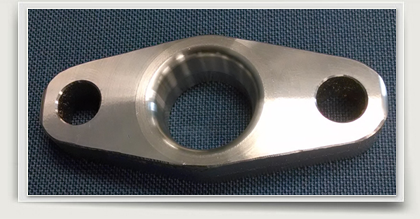 As experts in skilled laser cutting fabrication, PEC Laser provides clients with a turnkey service that delivers results even when a quick turnaround time is required. Our laser cutting techniques have been used in place of the more extensive and time consuming process of stamping for this very reason. The differences between laser cutting and metal stamping are numerous. Metal stamping is a forming process that presses a metal blank with a powerful die into a predetermined desired shape whereas laser cutting creates custom pieces without the requirement of a mold. Add to the fact that overall production is a speedier process with laser cutting, and it's easy to see how beneficial laser cutting can be to a customer that requires a quick turnaround. 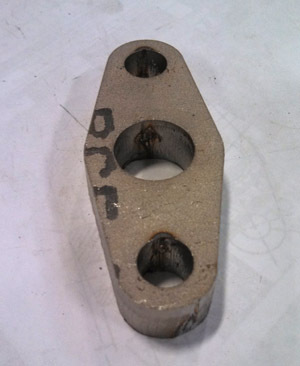 Houston area valve company required a custom, stamped out part within a short time frame. Our customer needed a stamped out part, but didn't have the time to wait on the stamping process which requires specific tooling and a custom mold. PEC Laser was able to help by utilizing our specialized laser cutting services to fabricate the custom piece. Whereas metal stamping can take up to a month to create a custom product, PEC Laser created and produced the piece in only one week. This time was used to not only laser cut the piece, but also to tumble the part to smooth its edge by using our in house tumbling machine. The piece was then put on the lathe to clean up the surface until it was the desired finish. The customer was impressed not only by our lead time, but by the quality product we produced for them.